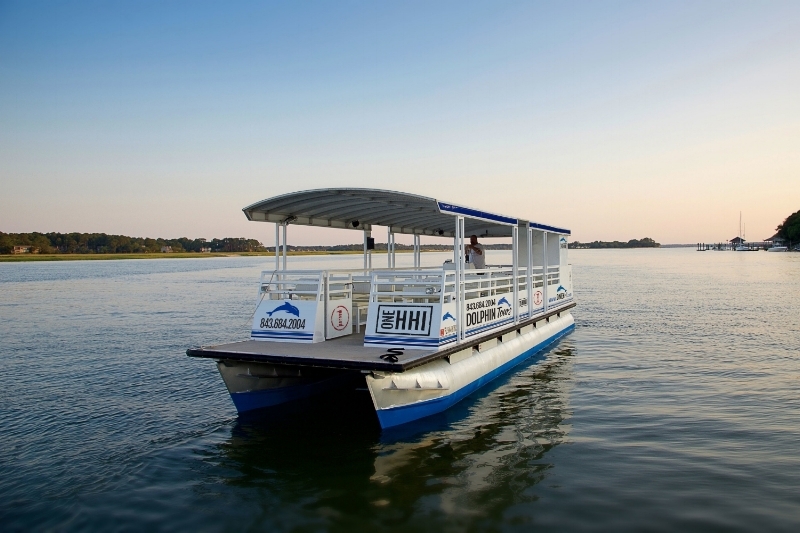 Join our fully narrated 90 minute dolphin/sightseeing tour from Palmetto Bay Marina as we travel the scenic waterways of beautiful Hilton Head Island. Our captains and guides know that your on vacation to have fun, so this isn't the boring tour so many have come to expect. 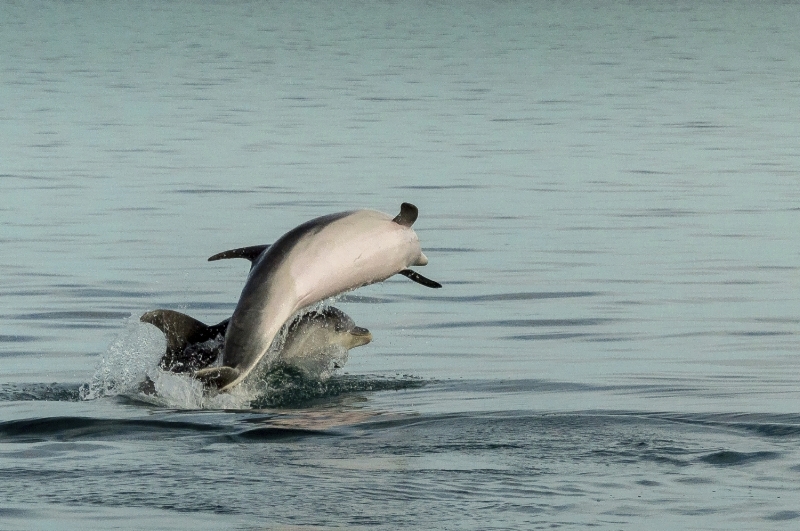 We'll keep you entertained as we look for bottlenose dolphins feeding, playing, or simply cruising about in their natural habitat. The waters around Hilton Head are home to one of the world’s largest populations of these beautiful creatures. Our tour's start in a section of the Broad Creek known as Dolphin Alley for obvious reasons! We'll also take you to see the intra coastal waterway, salt marshes and wilderness beaches where we have great chances of seeing sea turtles, manatees, egrets, herons, osprey and maybe even an otter. 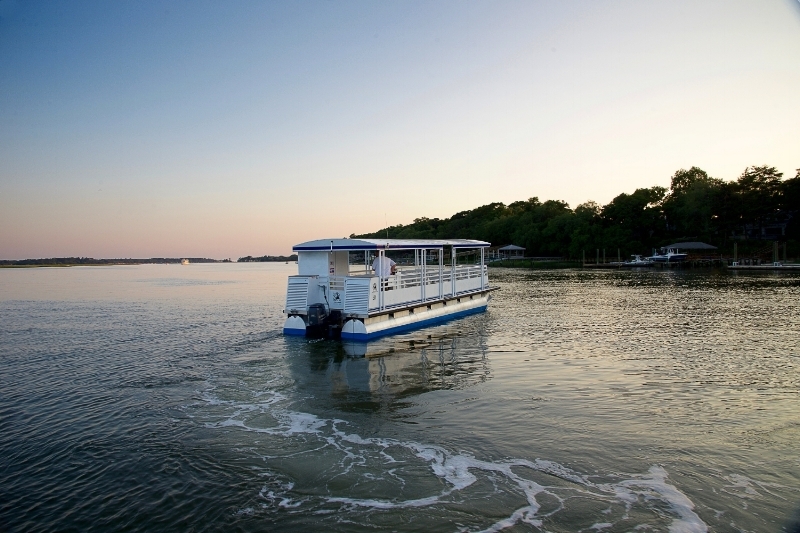 Our comfortable pontoon boat is fully shaded and very stable in all conditions and has comfortable seating for 22 passengers. 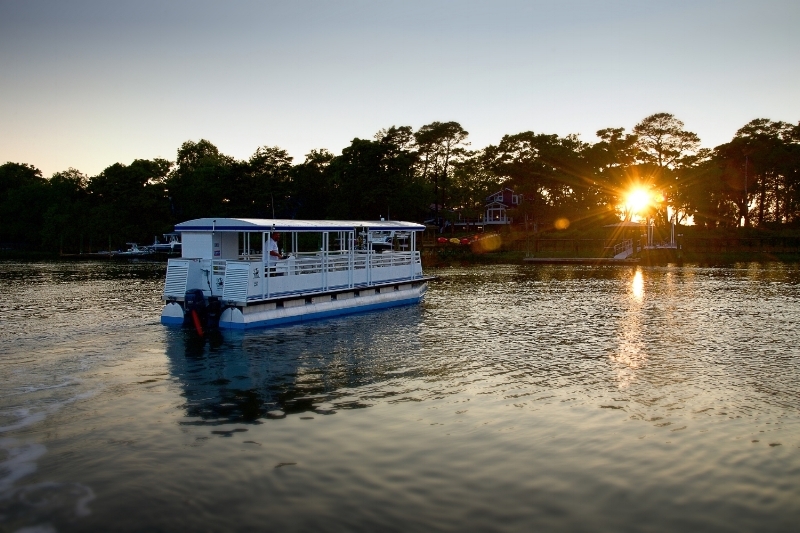 All our Captains all have Master Mariner licenses with years of experience in the local history and ecology of the pristine Hilton Head Coastline. Please dress appropriately for weather conditions - Bring a jacket just in case!